You may remember that when I went to Georgia a couple months ago, my brother, Brent, made me some super delicious, from-scratch, pizza. Some of you requested the recipe, so today I'm excited to share a guest post that Brent has written about how to make his famous pizza...bon appetit! Hi, I’m Brent, Rebekah’s brother. Rebekah asked if I would do a guest post on how I make pizza. I love pizza! 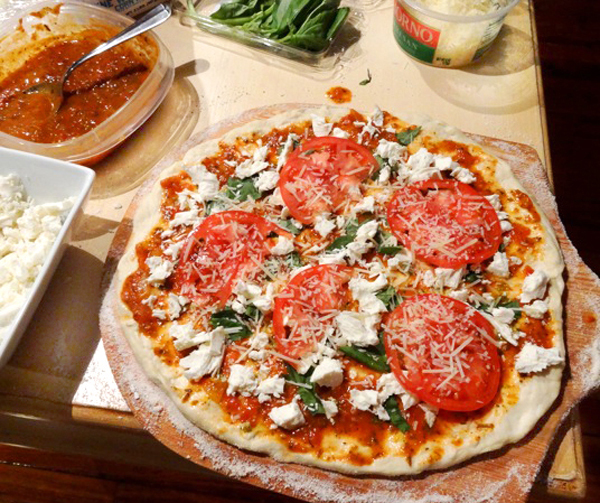 Last summer, I started exploring the process of creating pizza from scratch. Everyone has a different perspective on what a perfect pizza looks like. With countless books and online forums, it is really difficult to try and figure out. I started experimenting; finding and tweaking recipes until I had something that I enjoyed. Each time I make pizza, I try and experiment with one element in an effort to make better and better pizza. The process takes some preparation. The dough has to be made the day before. However, homemade pizza is fun to make and delicious. 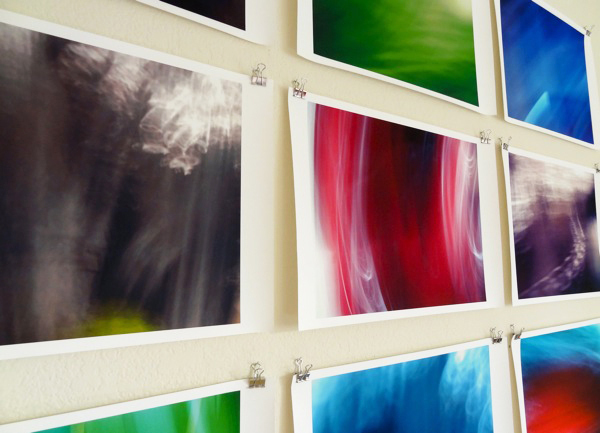 Do you have a blank wall in your home that is screaming for a little attention? Happy St. Patrick's Day! Do you remember a few weeks ago when I mentioned how my first attempt at making a jewelry organizer was a failure? Well, this morning I transformed the picture frame from that project blooper into this fun dry erase board. I've seen this project on Pinterest several times and thought that it would be the perfect way to salvage this frame. Best of all, it took me a mere 5 minutes to complete! Simply cover the particle board frame back with fabric and insert it into the frame behind the glass. This project is really versatile because fabric can be chosen to match any decor. Our office/craft room has lime green accents so this green fabric from Crate and Barrel Outlet is perfect for the space and perfect for St. Patrick's Day! Last week I told you about the Tudor Rose pillow I was working on. As promised, here are some photos of the finished product. I went back and forth on what color to use for the pillow part, but ultimately I decided to keep it monochromatic. I'm normally one to opt for a lot of contrast, so this took a bit of restraint. But, I must say, I like how it turned out and I think the subtleness is nice. Recently, while browsing Craftgawker, I came across this tutorial on Ricochet and Away! (originally by savvyseams.com) which explains how to sew a beautiful Tudor Rose. Today I decided to give the project a whirl and I'm really pleased with the results. When I first saw the photo of the Tudor Rose I assumed that it was small, maybe only a few inches in size, so I was surprised to print out the pattern pieces and discover that the flower is actually over 12" in diameter. Since the rose is so big, I decided that it would make a beautiful embellishment for a throw pillow for my bed.